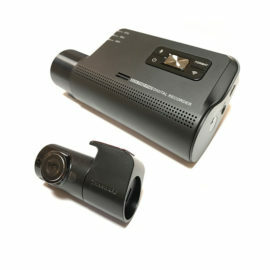 When purchasing a dash camera, you will need to decide how you want it wired into your vehicle. 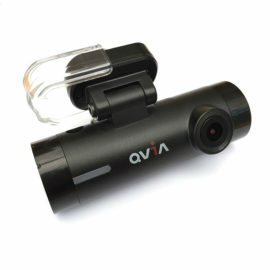 This is an important decision as it decides how discreet the camera will be and what features it has available to use. 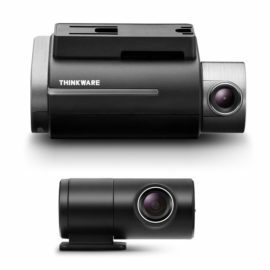 The simplest way to wire the dash cam is via the cigarette socket. 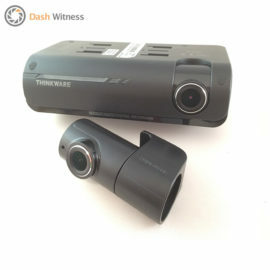 Many cameras such as the BlackVue come with a cigarette power lead in the box, whereas Thinkware cameras you have to ask for this option when purchasing. If you choose this method, you will simply have the camera mounted on your windscreen and the power cable going directly to your cigarette lighter socket. However, when you have the camera like this, it will not have parking mode enabled and has the potential to drain your vehicles battery if the cigarette socket is permanently live. T he second option you have is to hard-wire the camera directly to your vehicle. 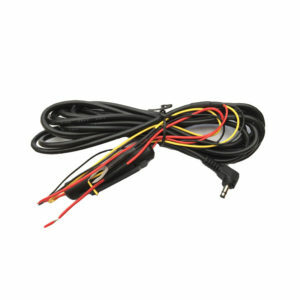 When hard-wiring your dash cam this way, it allows for a more complete installation. As you are able to successfully hide all wires from sight. Having your dash camera hard-wired also enables it parking mode. 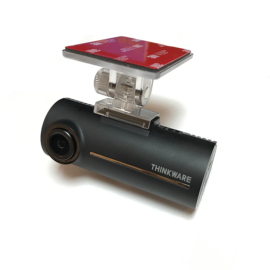 The Thinkware cameras come with the hard-wire kit as standard in the box, whereas BlackVue cameras need an addition wiring kit. This is our most popular method of installation. 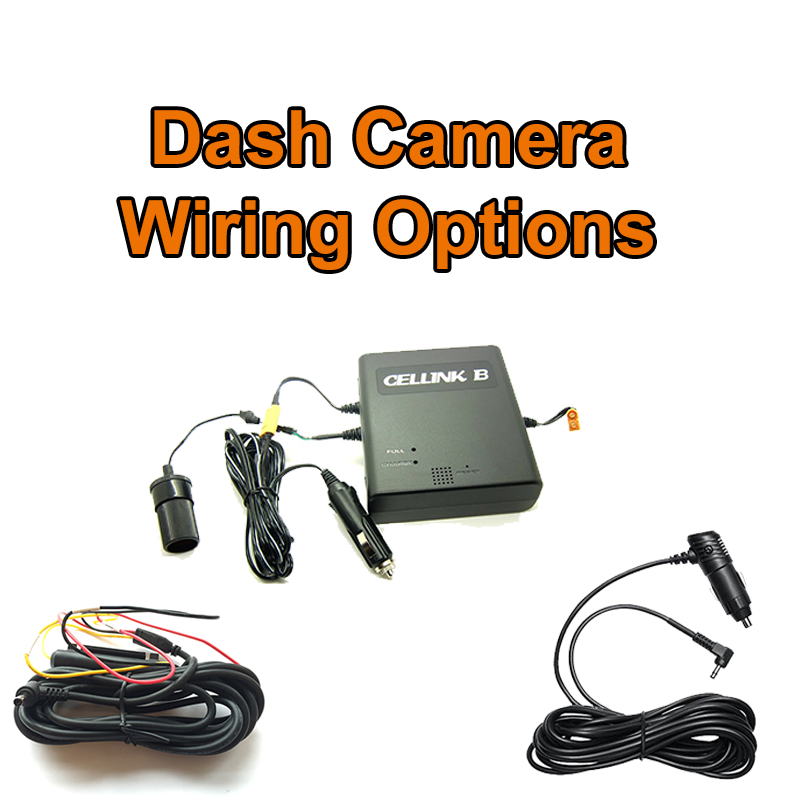 Hard-wiring the camera with the use of an additional battery pack is the third and final way of wiring your dash camera. As the name suggests, it is very similar to the option above, with the difference being the use of an additional battery pack. 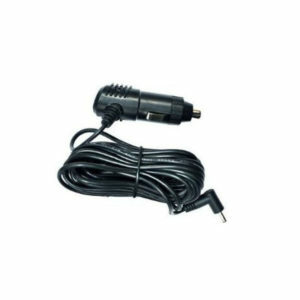 Using this method the camera connects to the battery pack which is wired to an ignition feed on your vehicle. The battery pack will then be hidden out of sight. 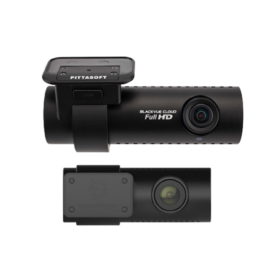 Once the battery is fully charged you can expect between 15-100 hours of parking mode recording depending on the camera system and battery combination. One thing to bare in mind with this setup is that the battery will require driving time to recharge. 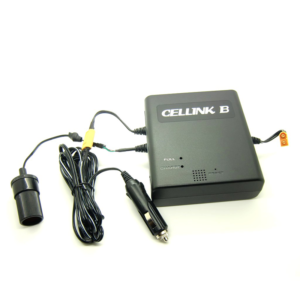 As an example our most popular battery is the Cellink B, if this is used with a 2Ch dash camera the operating time will be approx. 15 hours. If the battery was fully charged and you parked the vehicle at 6pm, the camera would stay on until around 9am the next morning. At this point the battery would run out of juice and the camera system would shut down. The battery and therefore camera would remain off until the vehicle is started, at which point the battery begins to recharge. It will take around 1.5 hours for the battery to fully charge, if you do not drive for this long the battery will never fully charge. If you’re only driving for say 30 minutes in the morning the camera system may only stay on for 3-4 hours before shutting down. It’s important to understand this point, many people purchase the battery assuming it will keep the cameras on 24/7. It is of course possible but you do need to be driving a fair distance each day for this to be the case. If you have an existing camera and are looking for an installation only or if you are looking for both supply and installation, please get in touch and one of our experienced team members will be able to provide the best solution for you.